Embarking on an emotional journey of personal exploration can often lead people to revitalize their personal and professional lives. 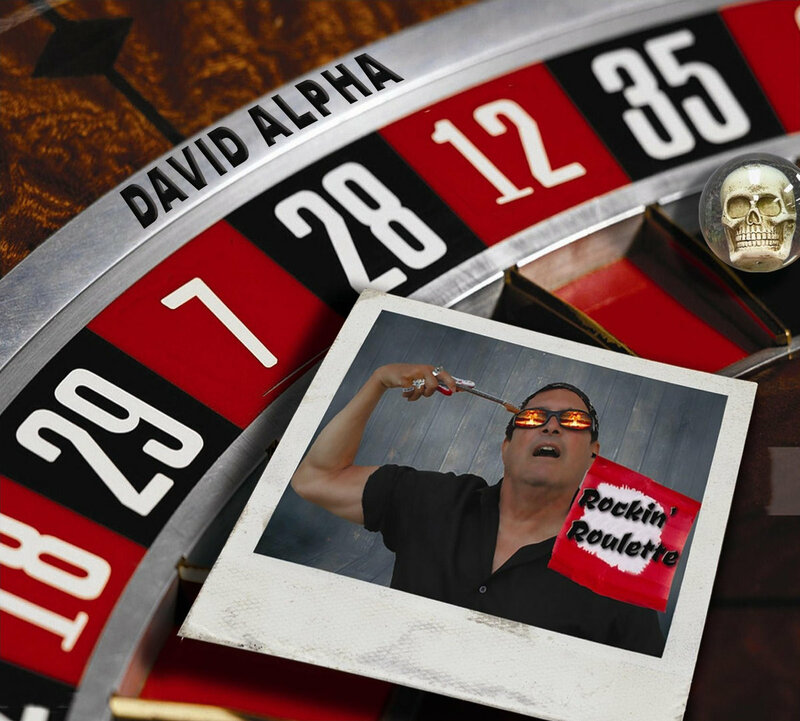 That’s certainly the case for rock singer-songwriter, David Alpha, who has enjoyed many musical incarnations throughout his career. The eclectic Tampa-based musician has earned commercial airplay and critical acclaim for his two bands, The Fons and the Dharma Bums, and numerous solo recordings. The musician’s new EP, which is also titled ‘Rockin’ Roulette,’ begins with the radio edit of ‘Sacrilege,’ which is a high-energy pilgrimage through the emotional minefield of a breakup. The entry, which Alpha co-wrote with East Bay Ray of Dead Kennedy’s fame, features such emotionally revealing lyrics as “For someone who wants to talk about bliss, you really ought to know what it is, but anytime I try dropping hints, you turn ’em into sacrilege.” The gripping words, which are sung in a riveting and mellow vocalization by the musician, are set against an intense punk-rock instrumentation, which includes edgy and raw punk guitars that are driven by a rock melody. ‘Sacrilege’ then transitions into ‘Jeans,’ which features a distinctly different sound than its predecessor. While the second song also features a punk-rock sound, its’ a far more rhythmic composition that features a free-spirited and blues vocalization and instrumentation, which is driven by a bass guitar. ‘Jeans’ begins with an enthralling blend of drums and guitars, which offer a pulsating backing energy to the singer’s smooth and nuanced vocals. The track’s lyrics powerfully deviate from its predecessor’s message, as Alpha now ponders whether or not he has finally found love. Embarking on an emotional journey of personal exploration can often lead people to reexamine their personal and professional lives. That’s certainly the case for Alpha, who has enjoyed many musical incarnations throughout his career. Even though the eclectic Tampa-based rock singer-songwriter has earned commercial airplay and critical acclaim for his two bands and previous numerous solo recordings, he has gone on hiatus from the music business on several occasions. After pondering his options, the musician underwent a creative renaissance in 2012, which resulted in some of his edgiest tunes and insightful songwriting. ‘Rockin’ Roulette’s re-relasing of ‘Sacrilege’ and ‘Jeans’ is a prime example of how a rejuvenation can truly help people get back in touch with their emotions and intentions.